About Our Programs - Delou Africa, Inc.
Delou Africa facilitates quality year-round artistic education that’s developed by a collective of professional artists and educators who are committed to providing a platform to showcase and educate the general public on the rich traditions of Africa through cultural expression. Our standards-based artistic educational programs are readily tailored to meet the specific needs of the communities in which we serve. 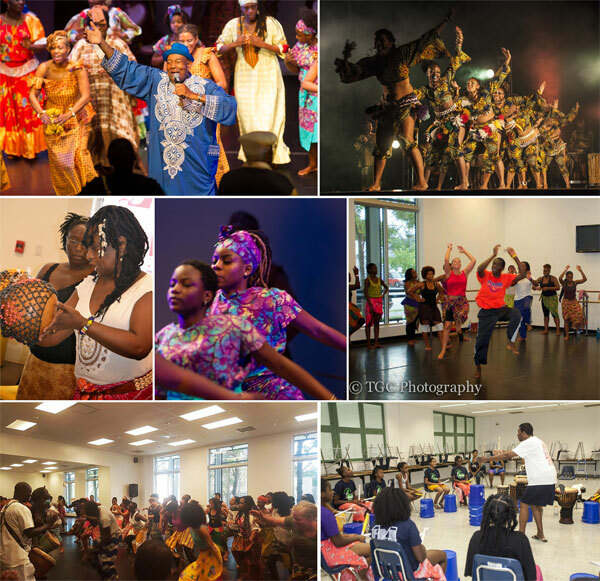 The programs are designed to expand the knowledge base of the student with regards to African dance, drum and music styles, with emphasis on technique, execution, cultural expression and the purpose and meaning of traditional African dance, drum and music. Delou programs are conducted on or off-site. Our off-site programs workshops on the move are conducted at different venues such as, schools, churches, libraries, performing and cultural art centers, dance studios and corporations. Along with education, our workshops are geared towards physical activities that promote social development, unity of the mind, body and spirit, health and mental wellness and an overall positive experience.